There are three chargers on sale today, ranging in output from 27W up to 46W. Make sure to use these coupon codes at checkout. 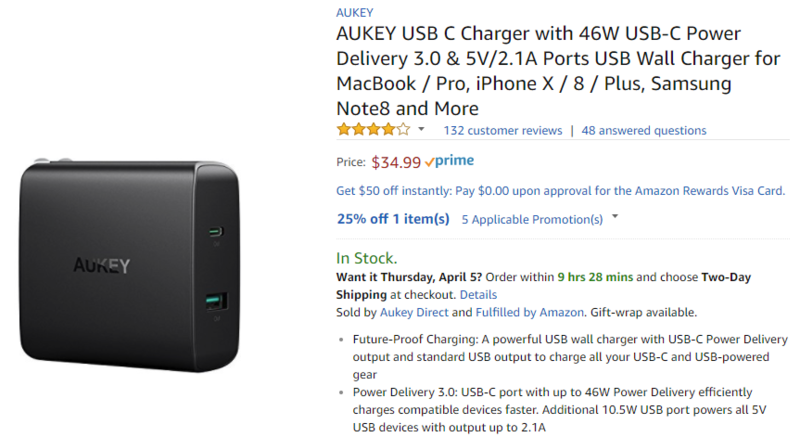 The 46W charger is powerful enough to charge a laptop like the Pixelbook or Macbook in addition to phones. The others will be fine to charge your phone and other small devices like a Nintendo Switch. You'll also want to pick up some Type-C to C cables for these plugs. All three items have Prime shipping and are on sale through April 6th.